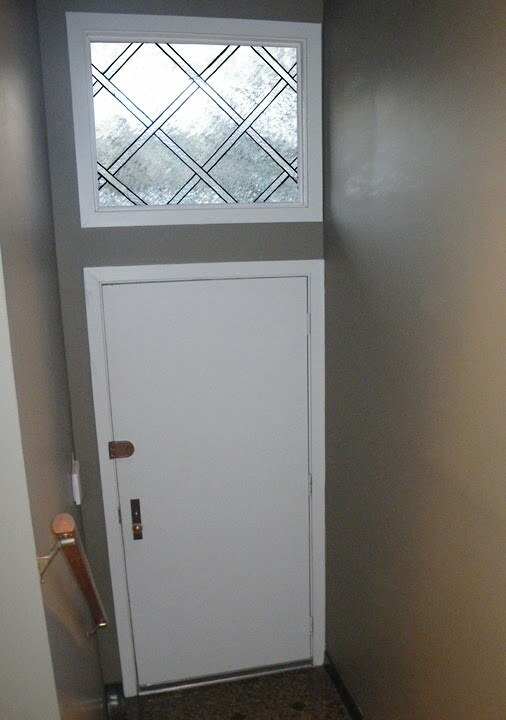 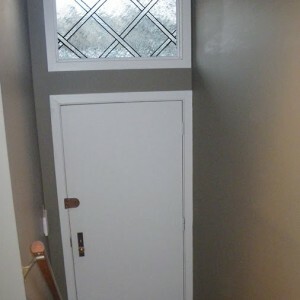 Here we added wooden framing and stained glass to an existing stairwell. 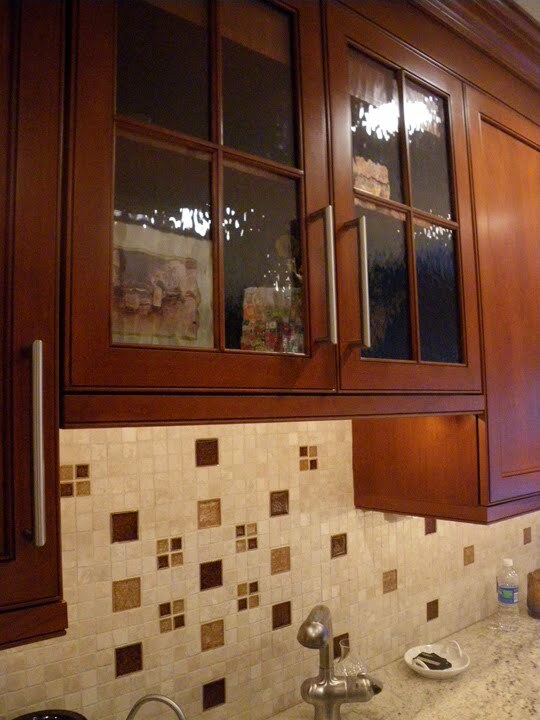 We were interested in enclosing the space while still keeping it light-filled. 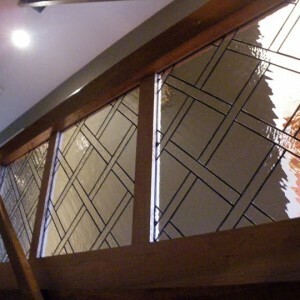 A combination of hammered glass and water glass adds texture to a simple geometric weave pattern. 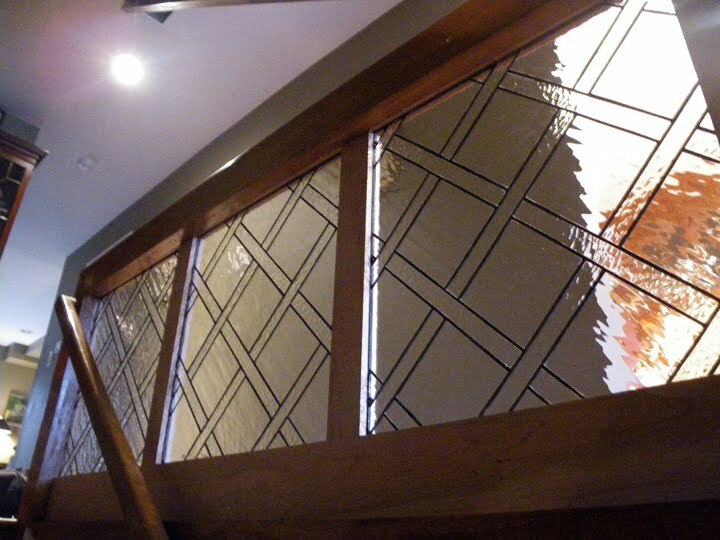 Hallway transom where we continued with an enlarged version of the same weaving pattern. 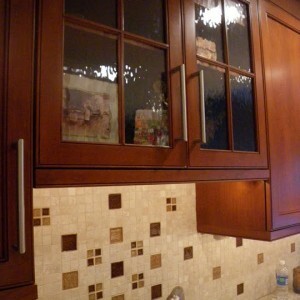 We also added water glass panels to cabinet doors in adjacent kitchen area.